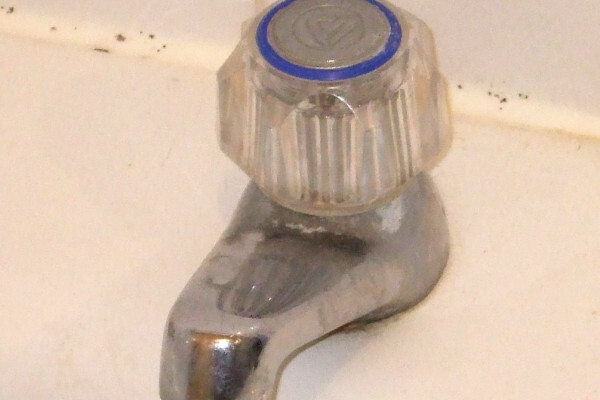 If you've got a dripping tap, which I did have a while ago, and it's dripping once every five seconds or ten seconds how much water does that actually waste over time? We've done a couple of rough calculations on this. If you've got a drip, say, 1 tenth of a millilitre and it drips every ten seconds, it's going to lose you about 36 millilitres an hour. If you multiply it out for the whole year it's about 315 litres a year, one or two baths full, depending on how big your bath and your drip is! So if you have a dripping tap it's really worth fixing because one drip every ten seconds is really quite slow for a tap but if you're talking several a second then you're losing quite a lot of water. Previous Should you walk or run through rain? Next Why does the windscreen mist up faster when it rains?